Meet Irene Perez, an iconographer and mom originally from Venezuela. Irene's family remains back home even as Venezuela crumbles. 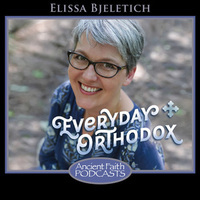 Irene came to the United States and found Orthodoxy through a complex and fascinating path, and today she teaches iconography and is raising her teenage son with her husband, Simon.